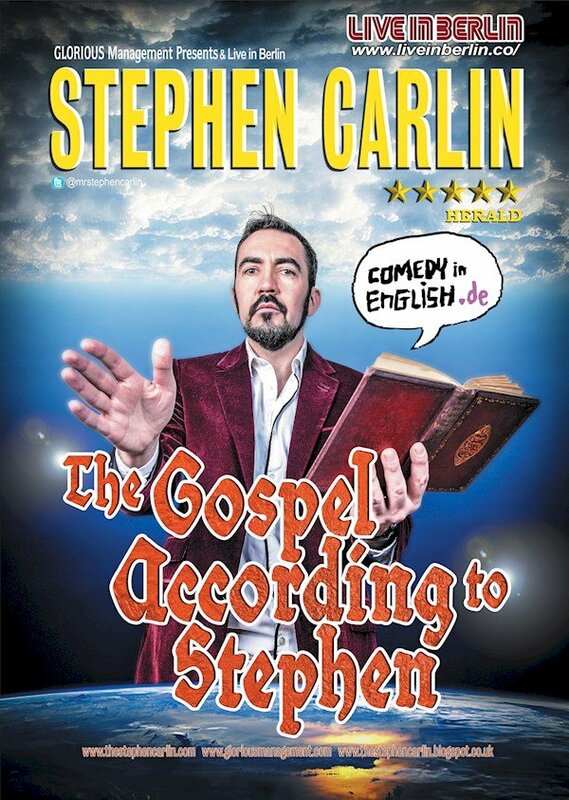 This event "Stephen Carlin Comedian (SCOT) : The Gospel According to Stephen" @ Bar 1820 has already ended on 12/12/2015. As seen on Comedy Central's The Alternative Comedy Experience and heard on Radio 4’s Andrew O’Neill: Pharmacist Baffler, Stephen Carlin comes to Berlin with sell out show from this year’s Edinburgh Fringe. Come and see why Stewart Lee chose this show as one of his picks for Edinburgh Fringe 2015. This show is a true account of the events surrounding Stephen Carlin, according to Stephen Carlin. With subjectivity and the lack of verifiable evidence, we bring you the life and times of Stephen Carlin in all its wonderful technicolour. Now if everyone will suspend their disbelief for an hour, then we can get on with the business of entertainment without pesky “facts” getting in the way. Fun without facts. The way God intended. Chosen as one of Stewart Lee’s “Ten Best Stand Up Comedians Ever”, Carlin has supported Stewart Lee, Stephen Merchant, Felix Dexter and most recently, Tom Stade on their national tours. Carlin has acquired a growing fan base and critical acclaim for his original, insightful material and accomplished delivery. His exceptional use of language, brilliantly opinionated broadsides and trademark Sottish brogue make for memorable routines. He is increasingly expanding his following in the international comedy scene performing recently in Bahrain, Belgium, Denmark, France, Germany, Hungary, Netherlands, South Africa & United States. 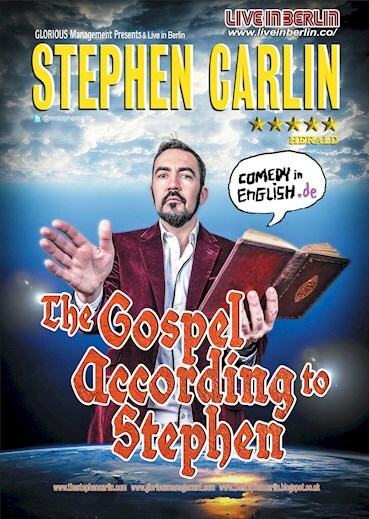 Stephen regularly appears at the Edinburgh Fringe Festival, most recently in 2015 when, in addition to “The Gospel According to Stephen”, he also performed in “Routines” with Dana Alexander, Will Mars and Matt Roper. This was a fusion of stand-up comedy, theatre and improv. In 2008 Stephen was awarded the prestigious Peter Tateridge writers bursary by BBC Comedy. He has since written for many BBC Radio Shows including The News Quiz, the Now Show, Look Away Now, Recorded for Training Purposes. He is creator of Gus Murdoch’s Scared Cows and co-creator of The Headset Set. He is the author of a Comedy Blog, which hilariously exposes the many facets of a life lived in comedy. DHARMANDER SINGH is from the Sunny place that is known as Birmingham, England. He has been entertaining crowds from Edinburgh to Dubai for longer than a piece of string. His friendly energetic style is sure to warm your cockles and huggle your mussels. Dharmander is a regular host at several comedy nights including Baumhaus Open air and Cosmic Comedy in Berlin. He likes cheese.